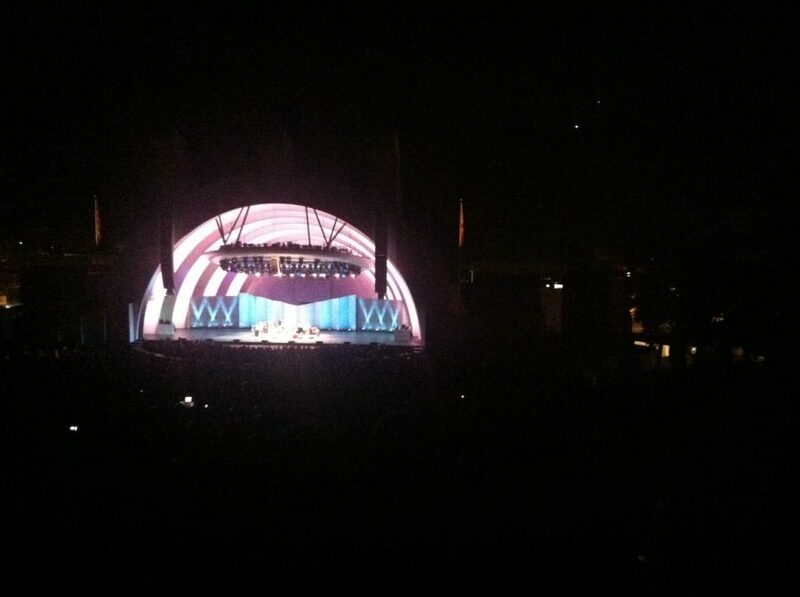 The vibe at the Hollywood Bowl on Thursday evening was one of mellow anticipation. A diverse mix of people waited patiently under the stars for Neutral Milk Hotel to take the stage, many with bottles of wine and small picnics. When the opening acts Daniel Johnston and The Breeders concluded at 9:30 pm, a short intermission ensued, heightening the current of anticipation. When the band finally emerged on stage, a low cheer erupted. Band members and audience members alike, however, regained a more somber atmosphere when songs from their second album, “In The Aeroplane Over the Sea” were played. Neutral Milk Hotel, is an American indie folk-rock band that formed in 1989. The band produced their first album “On Avery Island” in 1996, a rather obscure album that did not receive much notice. Their second album, “On the Aeroplane Over the Sea,” released in 1998, received more notice and was the sixth-best-selling vinyl album in 2008. This album is highly speculated to be about Anne Frank, due primarily to the song “Holland, 1945,” and many other references to a girl named “Anna,” and mentions of her birth and death years, that can be heard in songs throughout the album. The band is noted for their experimental sound, and emotionally raw, and somewhat bizarre, lyricism. The use of unique instruments such as bagpipes, the accordion, and even the musical saw, also add to the essence of the band. They were not short to deliver such distinctive sounds on Thursday evening. “They influenced the bands that influenced me, without me necessarily knowing it,” she said. The band played many of their more popular songs, such as “Two-Headed Boy,” but kept the audience on their toes by singing some of their older, less known music as well.